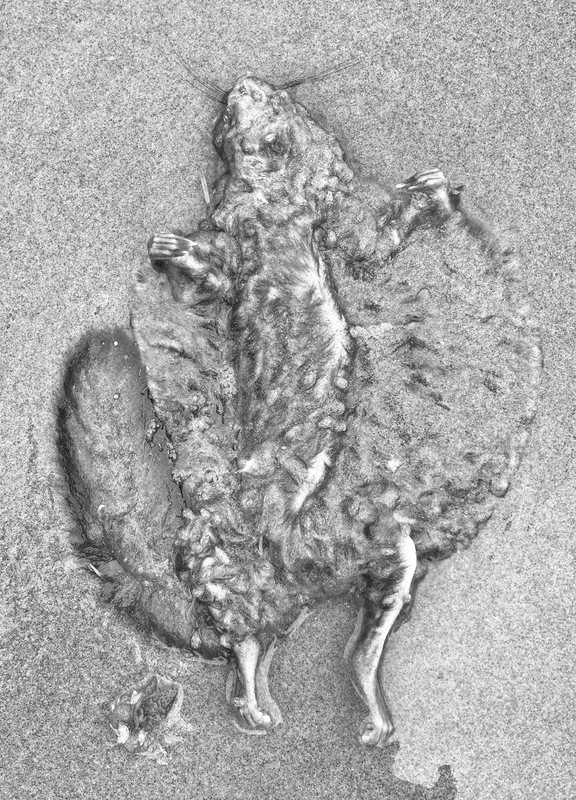 In Memoriam is a collaborative work of photography and sound art, a sound installation featuring four photographs of dead creatures found along the Pacific Northwest coast: a bird, a jellyfish, a salmon, and a flying squirrel. A spoken obituary is provided for each. He routinely flew at heights of 2,000 meters, but for fun would skim just above the sandy beaches of oceanic islands. He was very durable and fast, often closing his eyes and ears as he rode a current of moving air. He was noted for his signature whistle, which he retained throughout his life. He could survive without water for many months and was thought to be more than twenty five years of age. A mistress of disguise and seduction, she was often seen propelling herself through the currents welling up along the edge of the Continental Shelf in temperate and tropical waters. Blind and hairless, she displayed colors ranging from pale yellow to deep reddish brown and was often seen in large sociable groups offshore. He left Kingcome Inlet, headed North as soon as possible. Family members recall his sense of adventure and ability to travel long distances without sleep. Particularly active when the sky was overcast, he had a well defined neck, tail, and sense of smell. He could eat quantities of food greater than his body weight. She loved to fly, despite many who said it was unnatural. She often remarked that the sensation of air flowing through her thick fur was like no other. Pursued by trophy hunters for decades, she often sleep during the day. She avoided any food that carried the smell of predators. Sociable, she nevertheless spent much time separated from others as she soared between tree tops. I conceived In Memoriam as part of the Divine Sounds exhibition, at Divine Consign furniture store, in downtown Vancouver, Washington, 5 May 2017. The exhibition, planned as part of the downtown First Friday Art Walk, was the final project for a sound installation class I taught for the Creative Media & Digital Culture program at Washington State University Vancouver. Twenty six student works were included in the one-evening-only exhibition, titled Divine Sounds. I was eager to participate with my students, and wanted to contribute a collaborative work. The photographs of my colleague Dale Strouse intrigued me. 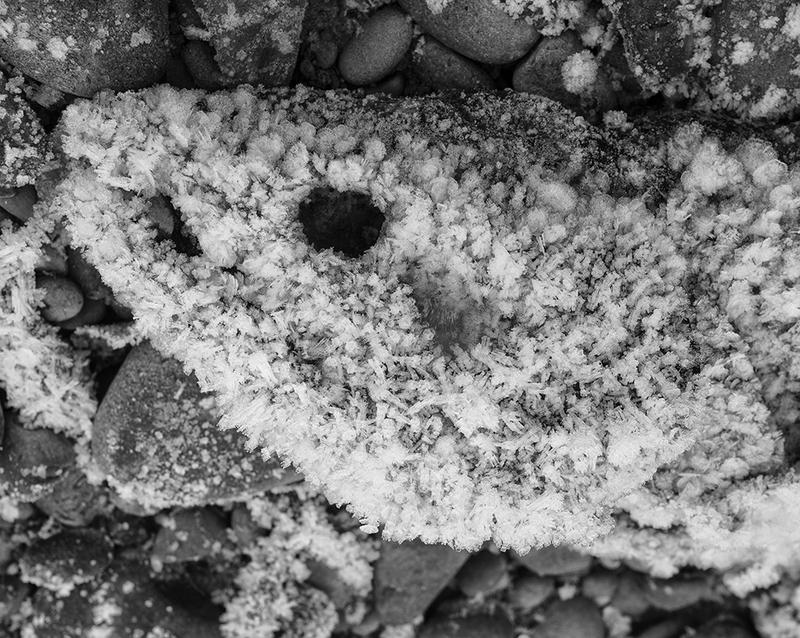 One series of images—dead animals found on Washington and Oregon beaches—I felt were particularly compelling. Dale allowed me to use his photographs of a bird, a jellyfish, a salmon, and a flying squirrel. Troy Scott, a student in my sound installations class and aspiring voice actor, was eager to record an obituary I wrote for each animal. I mounted each photograph on a flat panel speaker and connected a sound source from which to play the appropriate sound file. These separate sound installations were displayed throughout the Divine Consign furniture store during the one-night exhibition. 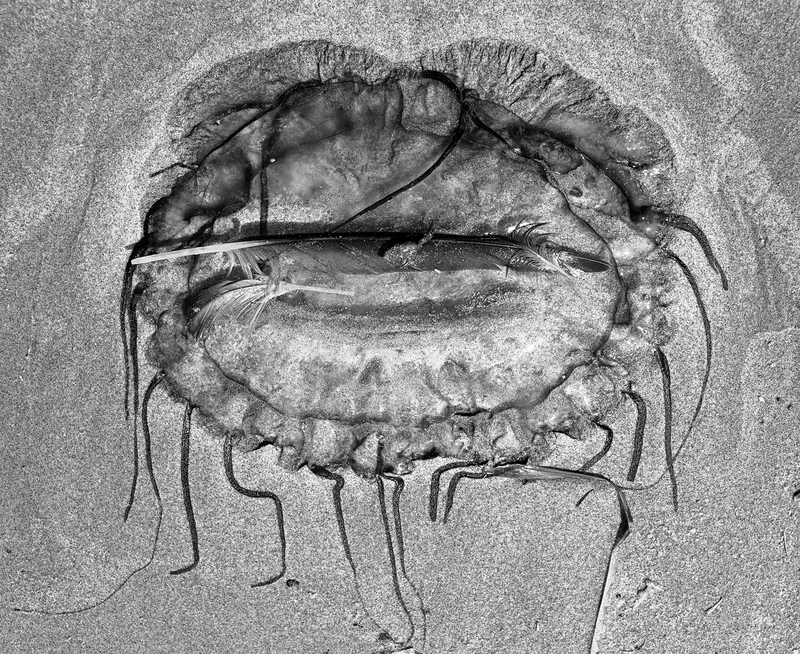 Walking the beaches of Washington and Oregon, one is likely to find many things washed ashore, including bodies of dead creatures. The incoming waves gently deposit them on the beaches. The outgoing waves smooth the surrounding sand, turning each body into a tableaux. Photographer Dale Strouse records these tableaux with his camera, turning each image into a work of art. 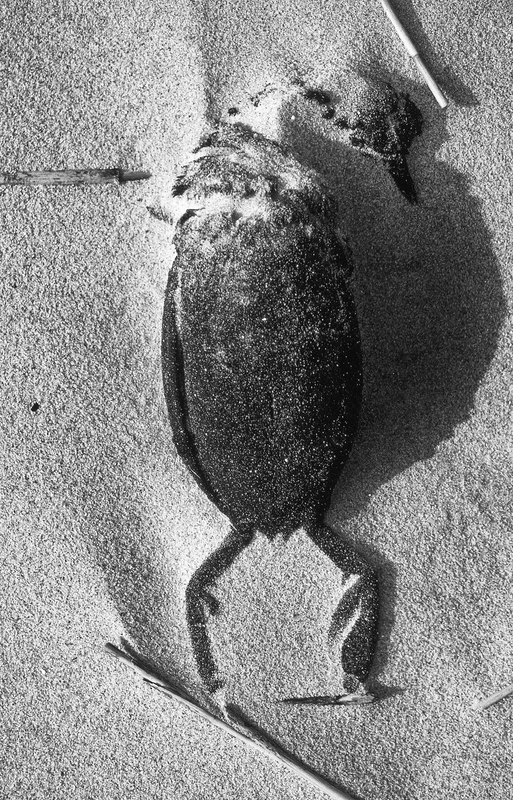 His images of dead creatures have long intrigued me, and prompted my thinking. Who were these creatures? What lives did they lead? What might be said about them in memoriam ? Working with Dale, I selected four images, and then wrote an obituary for each one. With each memoriam I tried to personalize these creatures by envisioning a life of adventure and realization of joy from his or her life. Troy Scott recorded his reading of each memoriam , which I combined with recordings of electromagnetic radiation in Earth's atmosphere. The result is intended to celebrate a purposeful life for each creature, and explore a new approach to sound-based storytelling.